NATIONAL SERVICE SCHEME (NSS) is an active cell of HITS that involves in various social outreach programmes throughout the calendar. Below are few programmes organized by NSS over the past few months. POLIO FREE DAY Twenty members of the Rotaract club of HITS participated in the World Polio Day’s campaign organized by Rotary International District 3232 on 24th October 2018 at Besant Nagar, Chennai. The campaign intended to create awareness about the contribution made by Rotary in phasing out the menace of Polio in India. 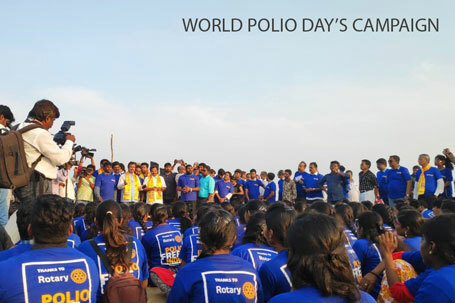 Ending a disease requires massive effort; and Rotary has taken this effort to end polio in hands with student volunteers. INTERNATIONAL HANDWASHING DAY 2018 The NSS cell and the Rotaract club of HITS jointly organized an event titled “SAFE HANDS” on 15th October 2018 to coincide with the International Hand Washing Day. Around 80 Housekeeping staff members of HITS were trained and sensitized on the importance of hand washing from the hygienic point of view. ROTARY YOUTH LEADERSHIP CAMP (Thadam) Four members from the Rotary Club of HITS attended the “Thadam” Rotary Youth Leadership camp organized by Rotary International District 3232 at Green coconut Resort, Chennai from 12th to 14th October 2018. Members were actively involved in challenging programmes of discussions, inspirational addresses, leadership training and social activities designed to enhance personal development, leadership skills and good citizenship. MAYVI (Make Your Vimana) 24 HOUR NATIONAL AERO MODELLING COMPETITION. 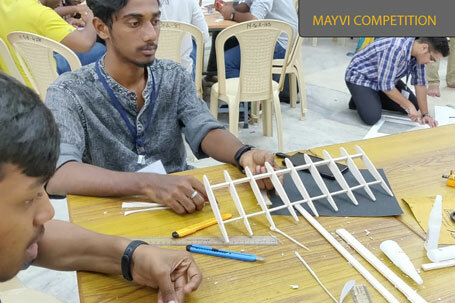 Rotaract club of HITS and Aero Astro Club jointly hosted a national level event “MAYVI”, an Aero Modelling competition on 6th and 7th October 2018 at HITS. The event was inaugurated by Rtn Sanjay Goel, President, Rotary club of Chennai Capital. Around 30 teams from various colleges pan India made enrolment and participated with great enthusiasm. MAYVI awarded winners with cash prize and mementos; and acknowledged participants with certificates. ROTARY YOUTH LEADERSHIP CAMP Rtr. 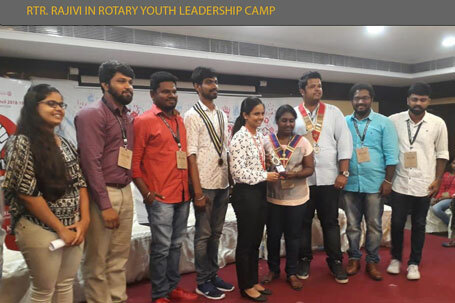 Rajvi attended the Rotary Youth Leadership camp organized by Rotary International District 3232 from 28th to 30th September 2018, Chennai. She was acknowledged with the Rotary Youth Leadership Award under “Best Female Rylarian” category on the occasion in appreciation of her vibrant participation in all events.